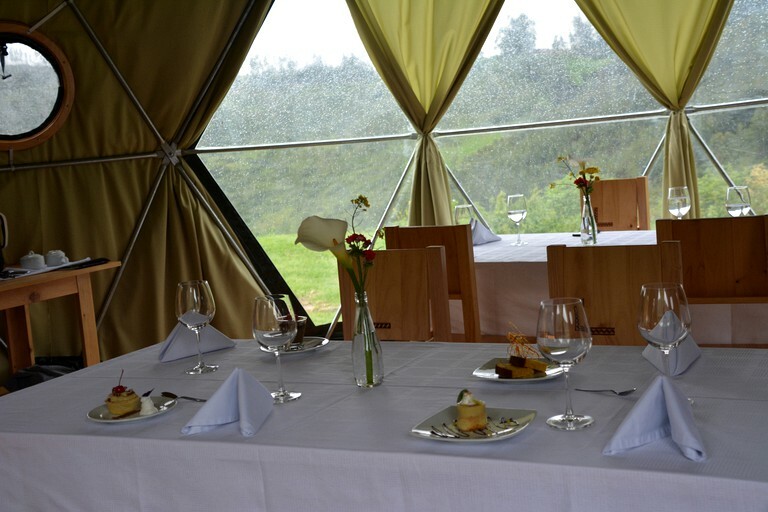 A short distance from the dome, guests will find the fire pit, dining dome, and the lobby bar dome. 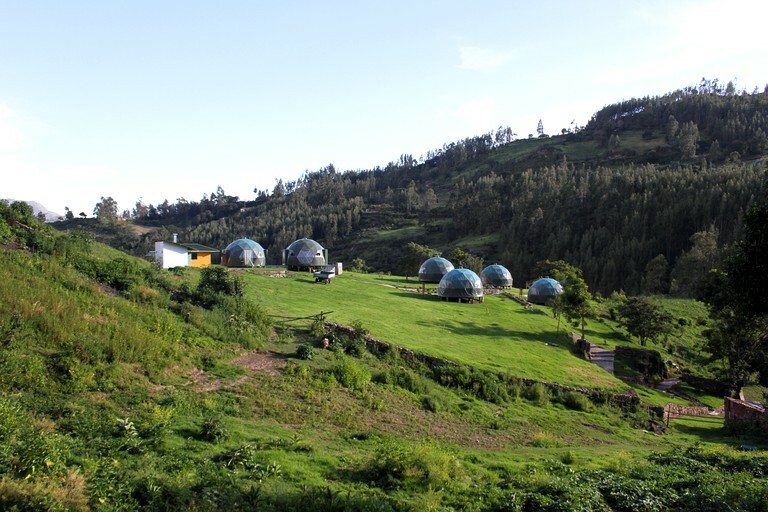 The campsites feature organic gardens, and they use both solar energy and natural water resources for an eco-friendly and sustainable environment. 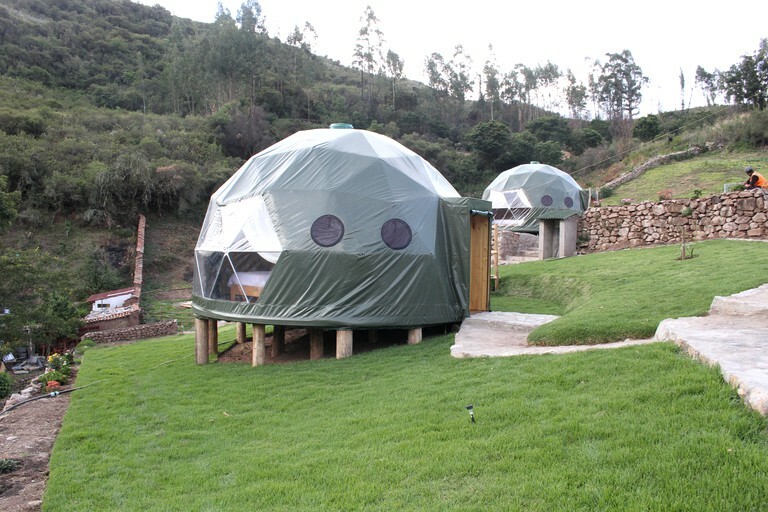 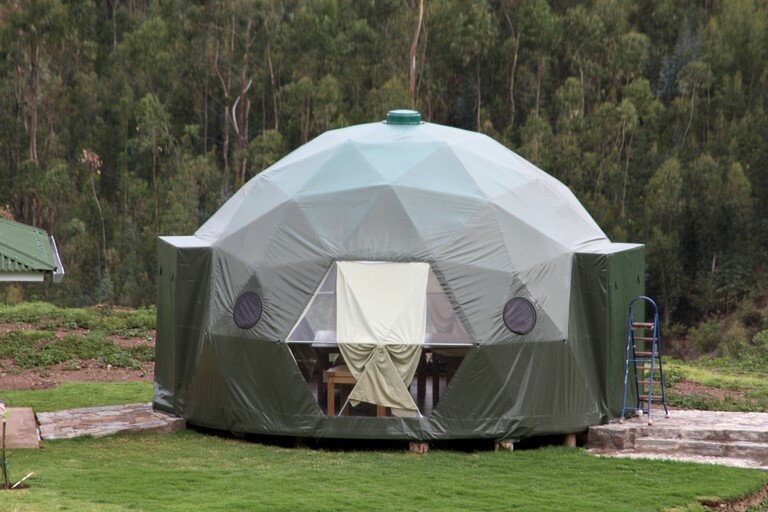 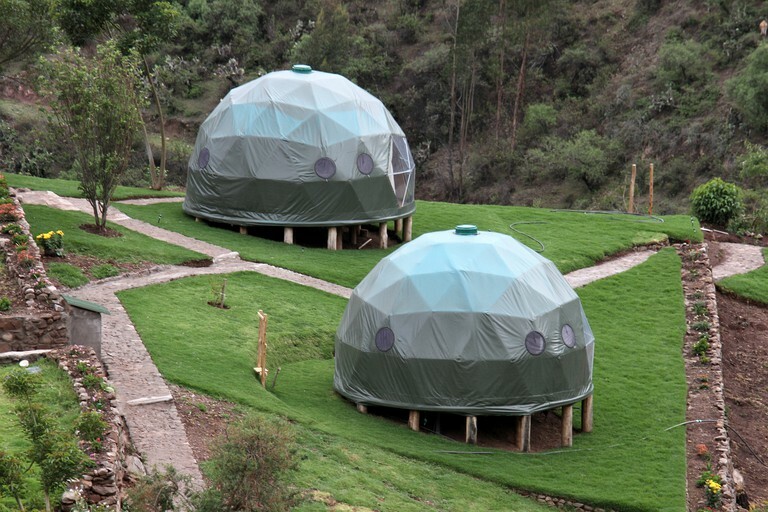 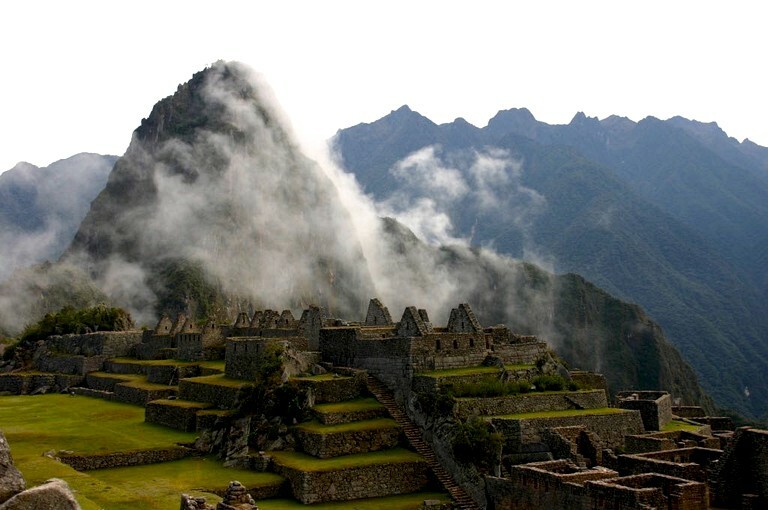 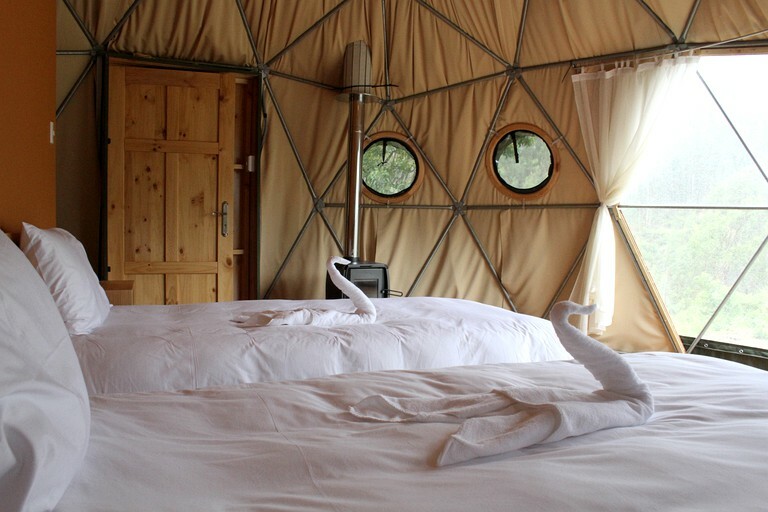 This luxury one-of-a-kind camping experience includes specialized nature hiking tours around Cusco, Peru. 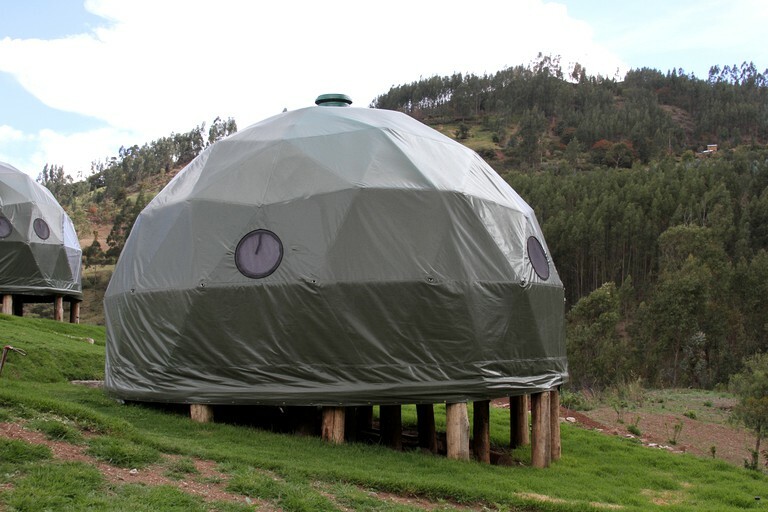 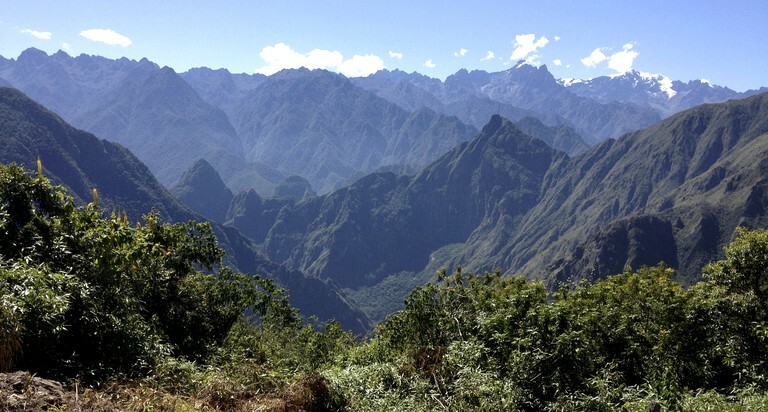 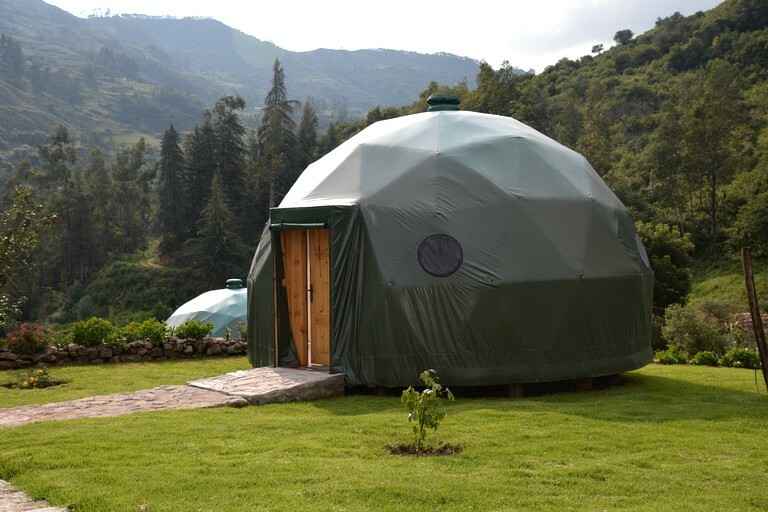 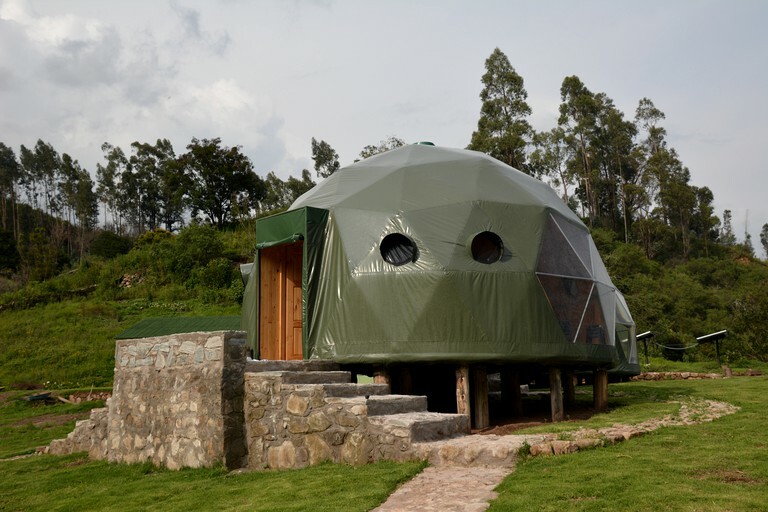 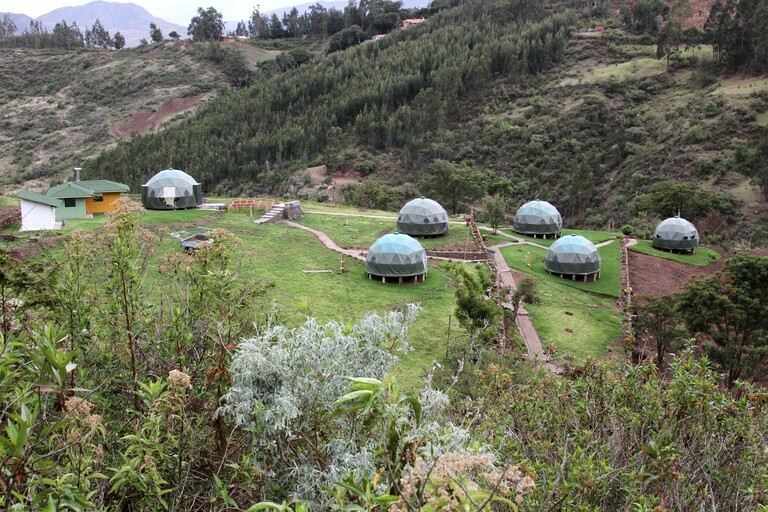 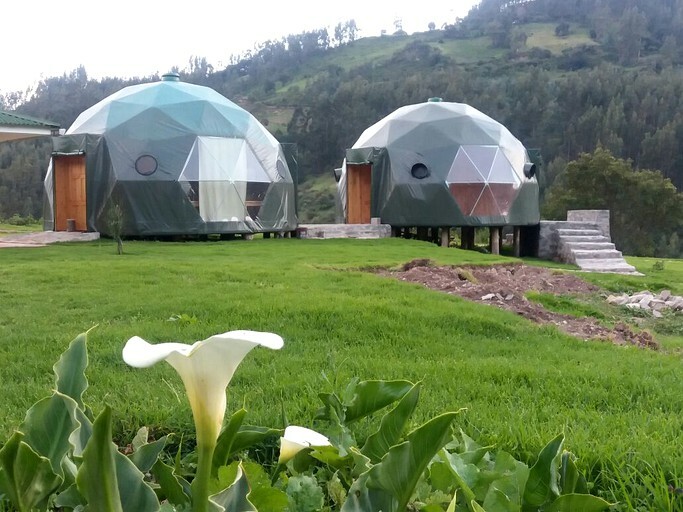 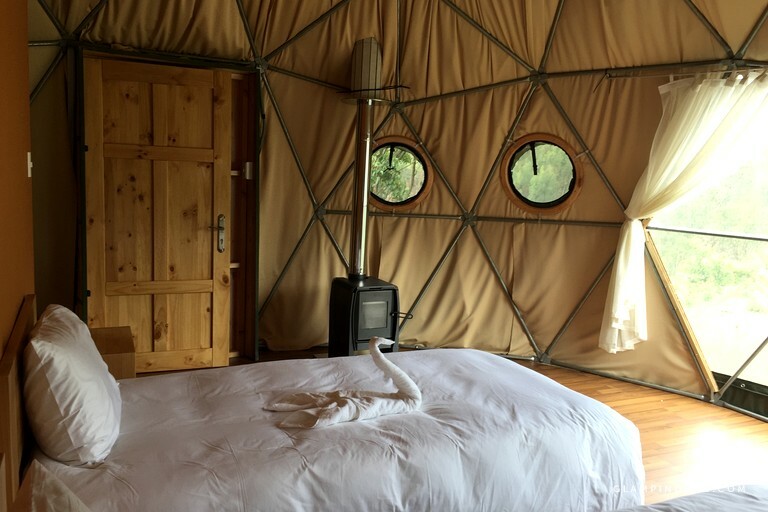 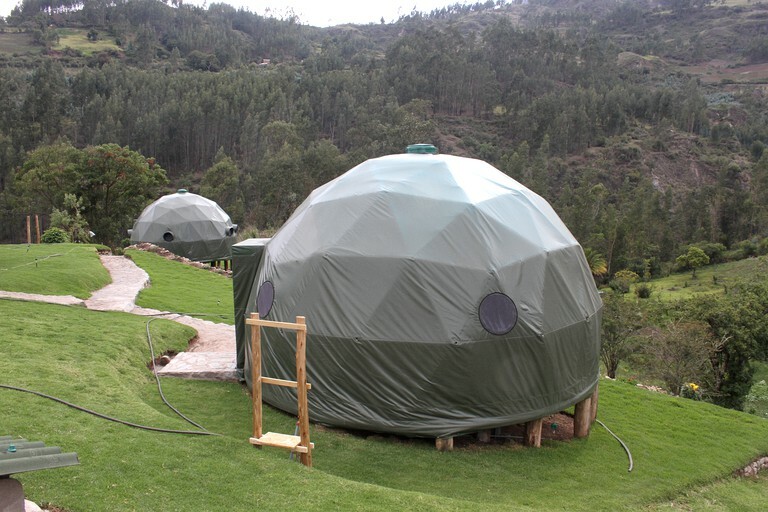 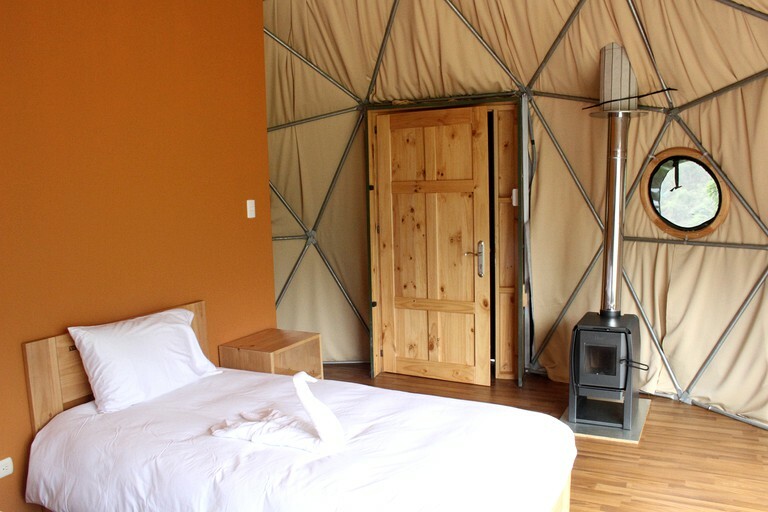 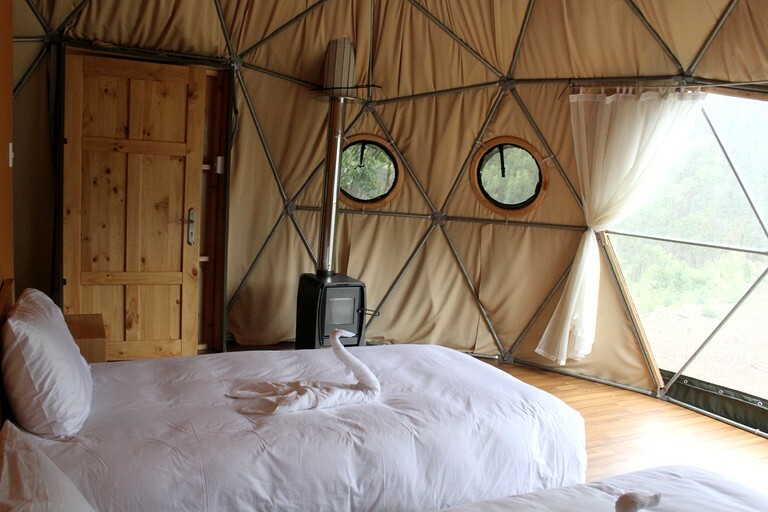 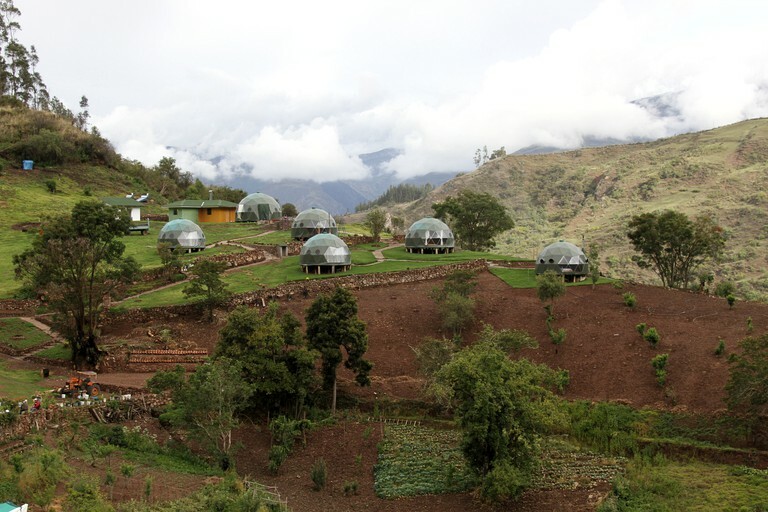 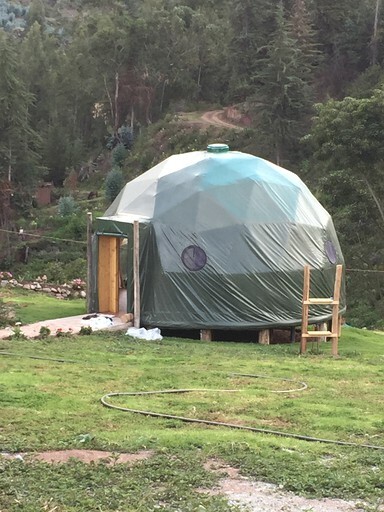 These eco-camps are located on the route to the iconic Machu Picchu on the side of the Vilcabamba Mountain Range and have amazing access to trails around the area. 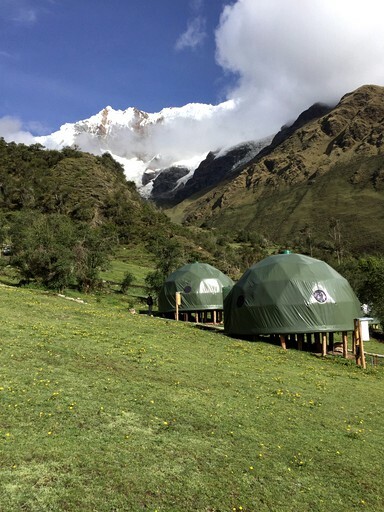 This region of Peru is a haven for every type of glamper, whether it be the intrepid explorer or the spiritual seeking outdoor enthusiast. 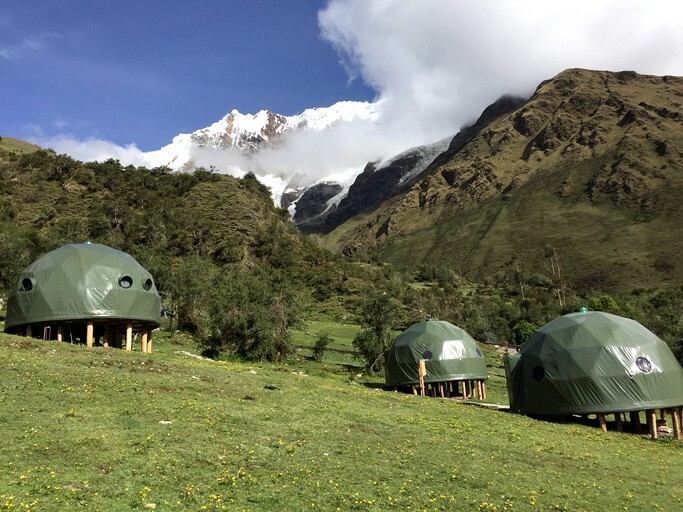 With amazing mountain peaks, lush forests, and fascinating ancient culture, those who visit the region have endless opportunities to experience the best the Andes has to offer. 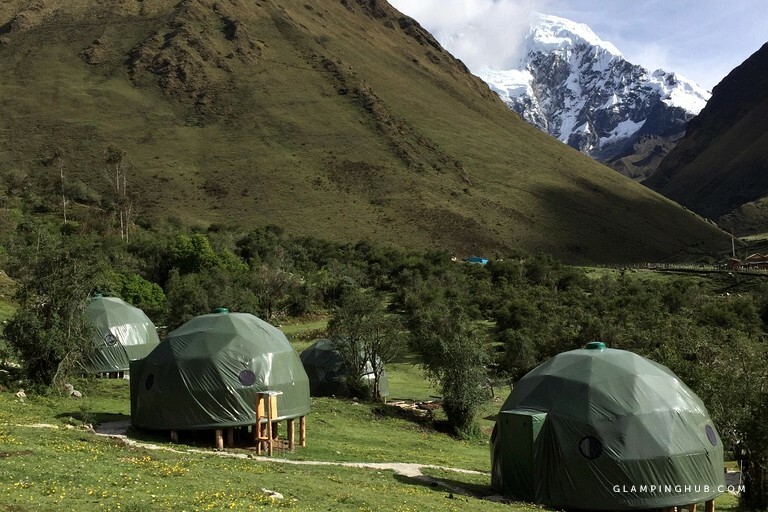 The property offers trekking excursions featuring excellent adventures that allow glampers to be in touch with the beautiful natural surroundings of the region; Bird watchers, wildlife enthusiasts, mountaineers, and photographers will see their expectations exceeded. 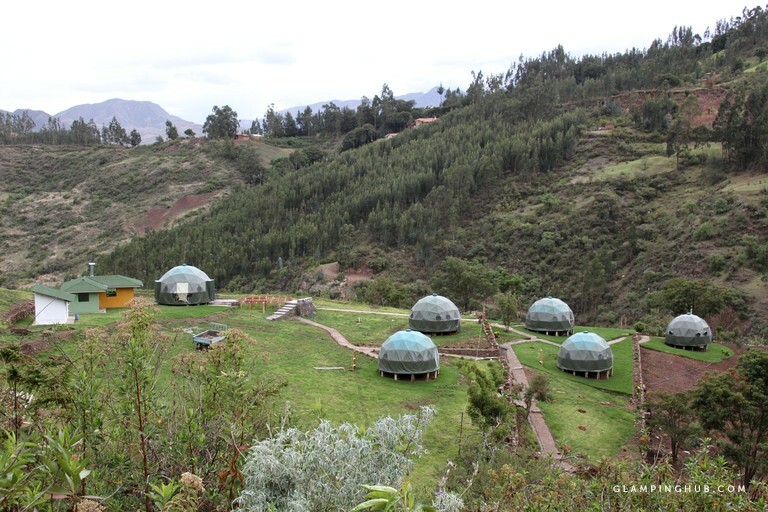 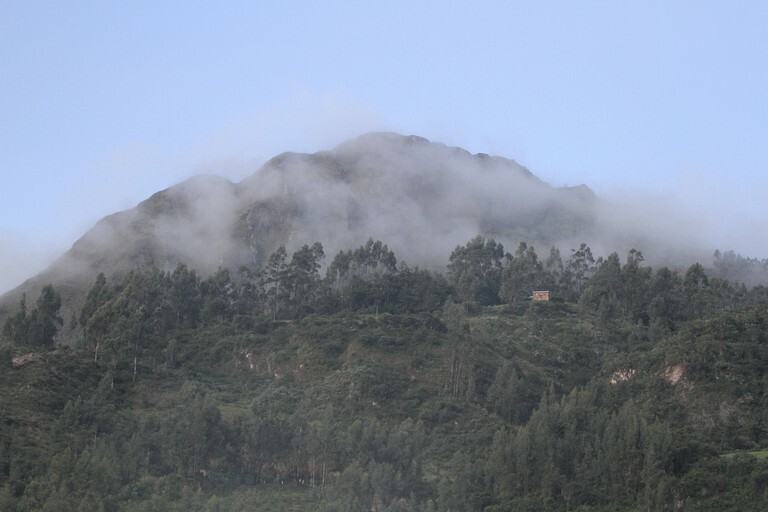 Those who stay here are encouraged to trek to Choquechurco, an archaeological site that is not available to regular tourists. 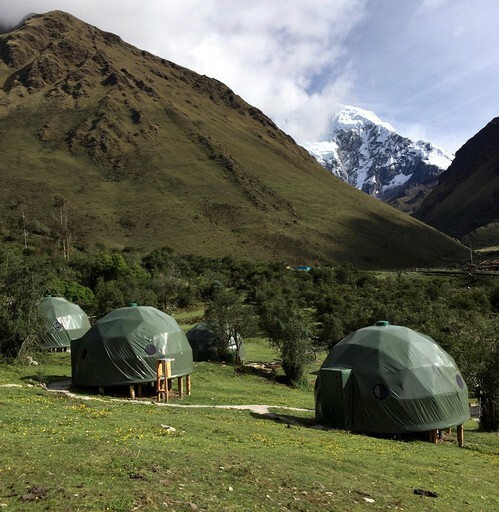 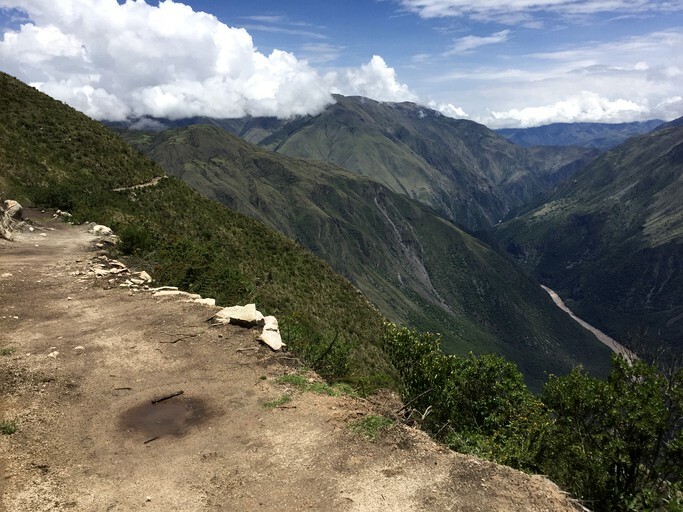 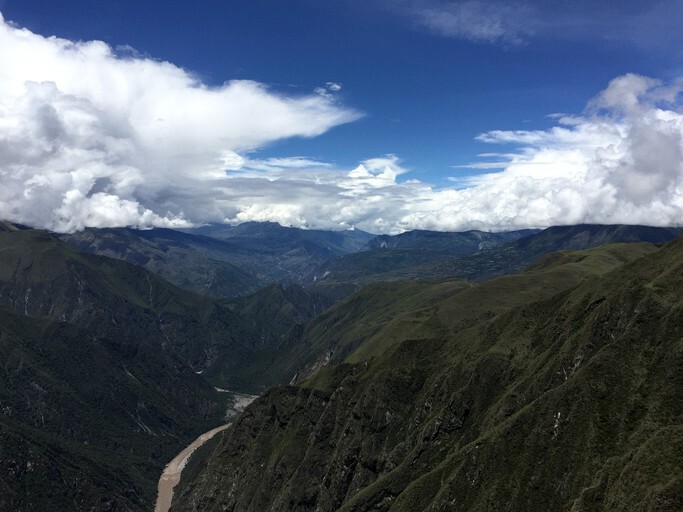 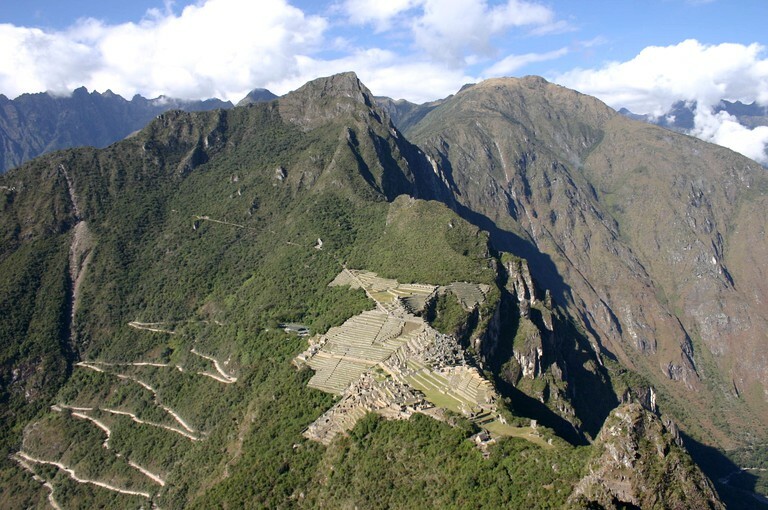 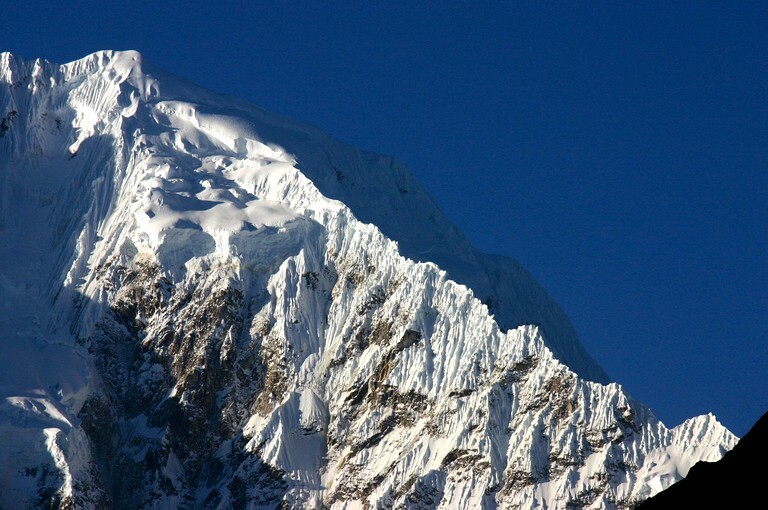 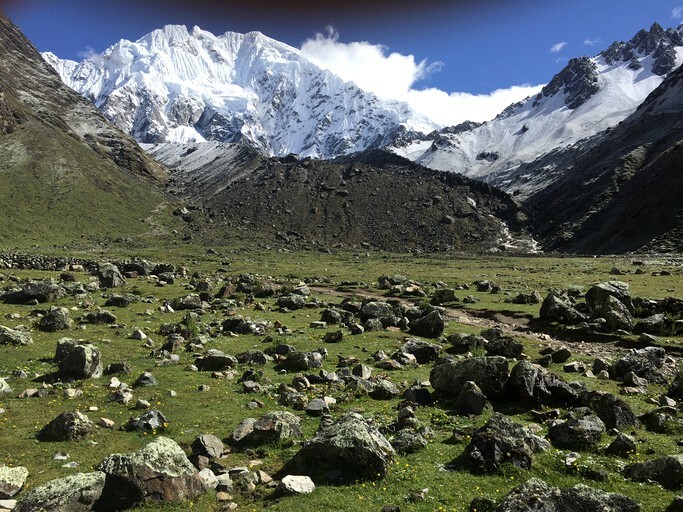 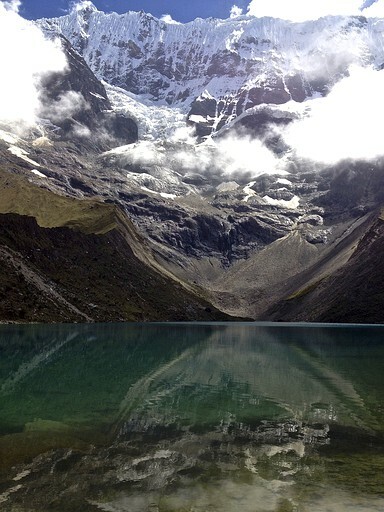 Other two great options are to book a tour to see "The Flight of the Condor" or to hike to the "Glacial Lake Humantay" and be wowed by the Salkantay and Humantay Mountains. 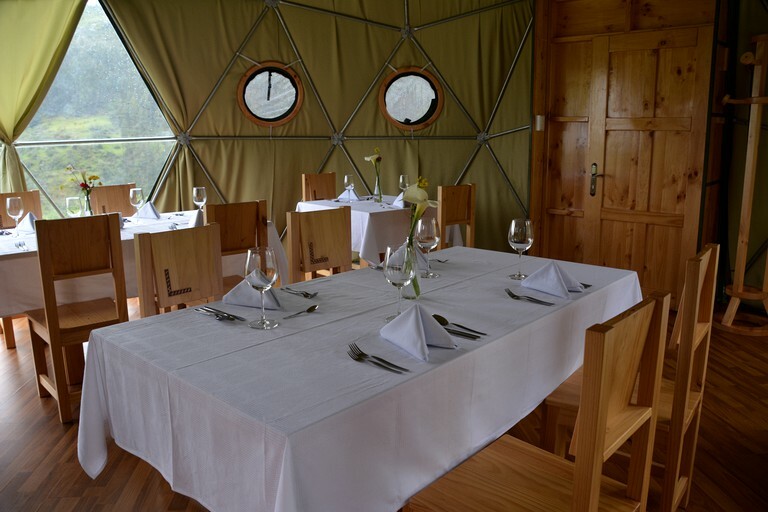 The following things are not included in the stay: restaurant service, bike rides, horse rides, massages, alcoholic beverages, and tips to staff.